Welcome to the online gallery of original oil paintings by famous wildlife artist Randy McGovern. A fairly large painting can take 4 to 7 weeks at a rate of 10 hours a day. The beauty, mastery, and work that are evident in each painting help to define their value. 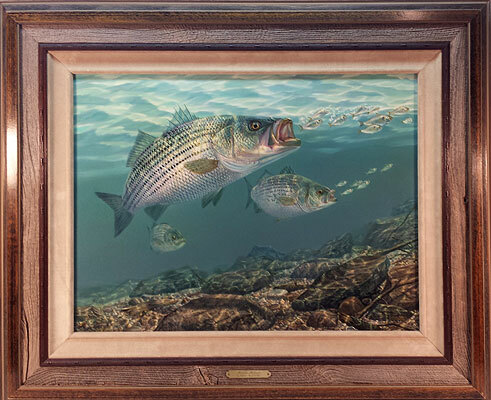 Randy's originals are unique because of his smooth canvas technique allowing him to execute painstaking detail in depicting fins, feathers, pine needles, leaves, hidden creatures, etc. 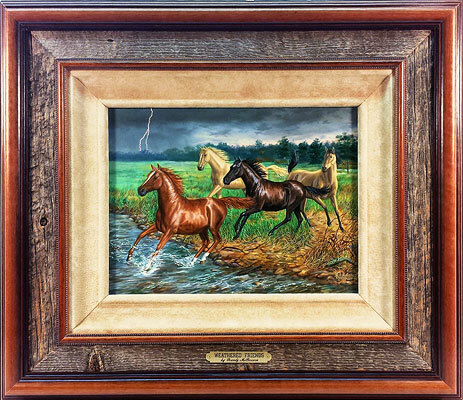 All paintings are uniquely and exquisitely framed in handmade frames comprised of suede leather, actual barnwood, and fine furniture molding. Perfect for wildlife, they are both rustic and dressy. You may purchase a painting a without the frame at a reduced cost of $150 to $300 depending on the size. If you are interested in an original oil painting or would like to visit our studio please call the studio and view a painting in person please call the studio at 1-800-226-2531 or Randy's cell at 770-598-4090. 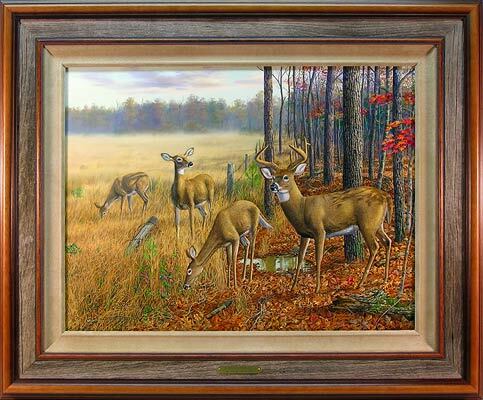 Frame Size: 26.75" x 32.75"
Canvas Size: 9" x 12"
Frame Size: 18" x 21"
Frame Size: 27 1/2" x 33 1/2"